Created, developed, organized and presented the following continuing professional education programs for the international publishing industry. January 5 - 12, 2015: "Implementing the Transition from Print to Digital Publishing" for the General Administration for Press and Publications at the SUNY Global Center, New York. 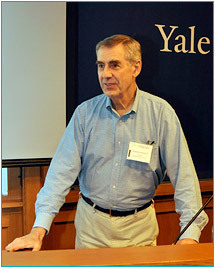 July 20 - 24, 2015: Yale University Book Publishing Course, New Haven, CT: Member of core faculty and presented lecture on "Financial Management for e-Books and printed Book Publishing." 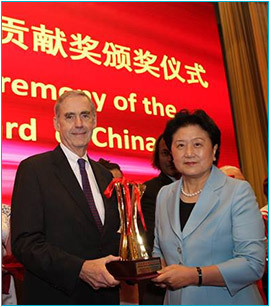 August 25, 2015: The State Administration for Press, Publications, Radio, Film and Television awarded Mr. Baensch the 9th Special Book Award for fifteen years of developing and presenting management training programs for over 3,450 members of the Chinese publishing industry. October 13, 2015: Frankfurt Book Fair - International Rights Directors Meeting - developed a program of nine guest speakers on the topic of South East Asia and Asia countries for translation and reprint rights for an audience of over 225 participants. 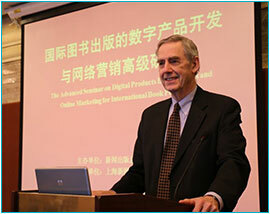 October 27 - November 3: "Implementing the Transition from Print to Digital/Online Publishing" for the Shanghai Administration for Press and Publications at the SUNY Global Center, New York. November 16 - 20: "Convergence of Digital Multimedia for Publishers" for the State Administration for Press, Publications, Radio, Film and Television at the SUNY Global Center. December 3: Global Kids Conference: "Children's Book Publishing" PACE University, presented a paper on "The Children's Book Market in China"
In addition to creating, organizing and presenting these continuing professional management courses, I serve as consultant to seven publishing companies and as a Board member for the Consumer Reports organization.